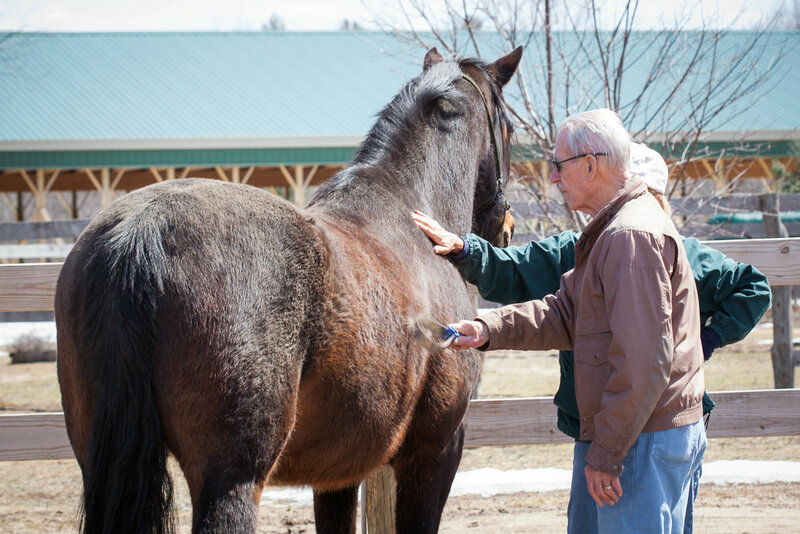 Looking for a way to visit Peace Ranch and learn about our work? Want to support our programs by getting some hands-on experience with the animals and helping to take care of the ranch? Hug & Groom is our “gateway” program, combining volunteerism and mentoring in a family-friendly environment. Come out and help care for the horses and the ranch. Children are welcome when accompanied by an adult and need a Liability Waiver signed by a parent or legal guardian to participate. All participants must wear appropriate footwear.